Next to the highly anticipated release of the newly revamped 2016 Mitsubishi Outlander, you may think the 2016 Mitsubishi Outlander Sport will not be as exciting. Although there haven’t been as many changes to the Outlander Sport as the Outlander, this year’s model has plenty of new things to offer. The 2016 Mitsubishi Outlander Sport exterior updates include a new “Dynamic Shield,” new 18” alloy wheels, and power folding side door mirrors with turn signal indicators built right in. Also, the Outlander Sport has more colors to choose from this year ranging from Labrador Black, Octane Blue, Cool Silver, Rally Red and the standard Diamond White Pearl. As for the engine, the 2.4L MIVEC engine is standard for the SE, SEL, and GT trims and includes a CVT automatic transmission. There is also an optional AWC System available for each trim level. The interior of the new Outlander Sport has all new seats and steering wheel along with some cool features like the auto-dimming rearview mirror and the 6.1” Display Audio System that is new and improved. These features are added to the long list of already standard features available. 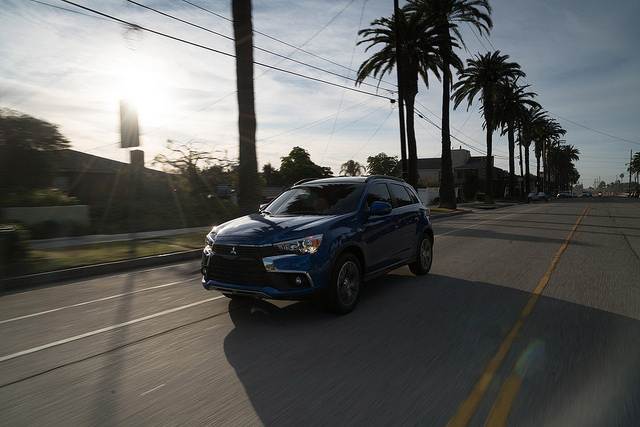 Here at Don Robinson Mitsubishi, we cannot wait to get the new Outlander Sport in to see how the new upgrades perform and to simply see the new cool exterior in person. Be sure to stop by the dealership soon to see it for you as well!